uPVC Doors | Sittingbourne, Maidstone, Chatham, Kent. We offer a wide variety of premium uPVC doors in Maidstone, Chatham, Sittingbourne and throughout Kent. We have many different styles and designs to choose from, making them perfect for any style of property, whether traditional or modern. Precision engineered to fit perfectly to your home, our uPVC doors are the ideal addition to any home. Enhance the aesthetics of your home and enjoy the many other high performance benefits that our uPVC doors provide to homeowners throughout Kent. Buy Right are experts in home improvement installations. Our trusted professionals will support you throughout the entire process. We can advise you on which options will suit your particular situation, allowing you to make the right decision on your perfect door. Our skilled craftsmen will expertly install your door to our usual high standards. This gives you a smooth finish with a prolonged product lifespan that you can enjoy for many years to come. Our after-sales service is also there in the unlikely event of experiencing any issues. We have a wealth of experience in home improvement installations. We are here for you throughout the whole process. From choosing your design that’s right for you, to skillfully making your door to your exact specifications, through to our expert installers. Normally the first thing that any visitors will notice, your front door can be used to make an impressive impact with its beautiful aesthetics. You can fully customise your door to match the style of your home and add a personal touch that will set you apart from the neighbours. Not only are our uPVC doors beautiful to look at, but they also are designed to be high performance and benefit your property. They provide outstanding levels of thermal insulation, energy efficiency and security for home across Kent. Our fantastic range of uPVC doors provides an exceptional level of thermal insulation. They are cleverly designed to create a thermal barrier that prevents cold transfer. This boost to the heat retention of your home will have you turning down your thermostat in no time. The excellent thermal performance will make your home more energy efficient. Your heating system becomes more efficient, allowing you to consume less energy. Enjoy lower energy bills while helping to reduce any negative impact on the environment. 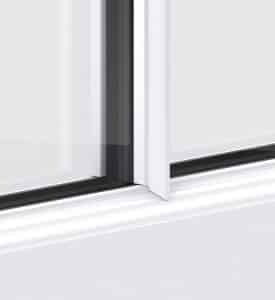 Some of the key attributes of uPVC are its strength and durability. The ingenious design of our profiles makes them incredibly rigid and tough. They are built to last a long time without the fear of warping, rotting, cracking or peeling. 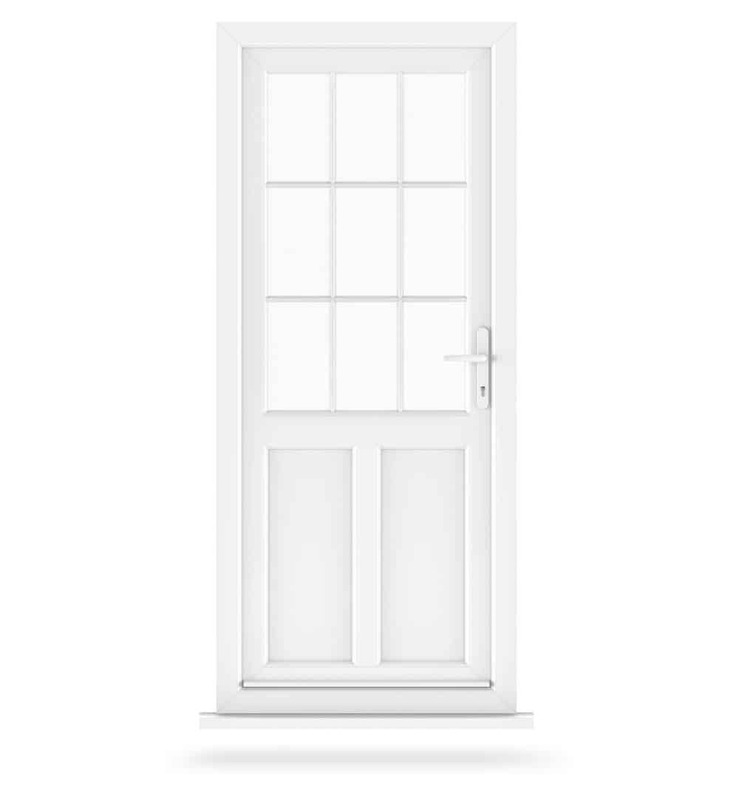 Unlike their timber counterparts, uPVC door frame requires very little upkeep. There is no need for repainting or varnishing. A simple wipe clean with a damp cloth is all that is required to keep your beautiful uPVC door looking like new long into the future. Design your new uPVC door to match your existing property or go for a beautiful contrasting look, whatever your preference, we have the right solution for you. We have a wide palette of colour finishes, including realistic woodgrain effects, ideal for any tastes. Our British manufactured uPVC doors give you striking, durable designs. Additional design features such as decorative glazing and accessories such as handles and letterboxes will help to complete your desired look. Get creative and stand out from the crowd. Choose from an option of low or standard thresholds; all are compliant with Part M building regulations. Our uPVC doors can be specified completely to your requirements, making them ideal for providing better accessibility for wheelchair users. Our uPVC doors are Secured By Design accredited. Secured By Design is a police preferred specification. So you can choose our doors with confidence knowing they are exceptionally secure. We also offer additional security upgrade packages for enhanced home protection. Choose our uPVC doors and receive a £1,000 promise towards the contents of your home if a break-in occurs. As a member of the Double Glazing Network, our uPVC doors are also guaranteed against cracking, warping and discolouration for ten years after installation. Our uPVC doors use Yale’s multipoint locking systems which give you complete home protection. 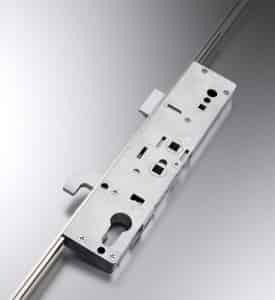 All Yale locking systems are guaranteed for mechanical failure for 10 years after installation. Rest assured that your family and home is well protected. Browse through our quality uPVC door designs online and get instant prices for your preferred styles. 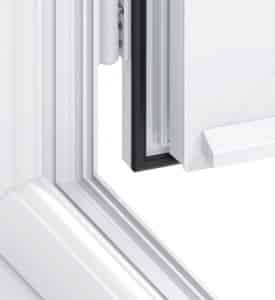 Buy Right Windows offer competitive door prices throughout Sittingbourne, Maidstone and Chatham. Start your free door quote today with our online quoting engine. Want to ask a question? Then use our online contact form to get in touch with our expert team. We are here to offer advice and can arrange a visit if you prefer. Alternatively you can give a call on 01795 427 222 to speak to someone directly.